With the presence of love awakening the rising of the goddess to bring forth valuable and sacred wisdom from the Creator to activate and inspire the Earth and humanity more fully, so numerous energetic keys and codes are brought forth to be acknowledged and understood. The vibration of the goddess has the power to activate numerous energies and consciousness of the Creator within humanity and the Earth, as if a continuous reaction and activation process occurs creating a series of blossoming of energies and wisdom to sustain the ascension of all. The goddess vibration brings forth her own wisdom held within her vibration since the suppression of the goddess but she also has the power and is the trigger of the awakening of other new energies as well as acting as a trigger for inner planes consciousness to be absorbed upon the Earth. 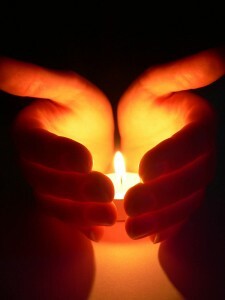 This time upon the Earth is truly sacred as every being is shaping a new reality, a new Earth and a heavenly existence. 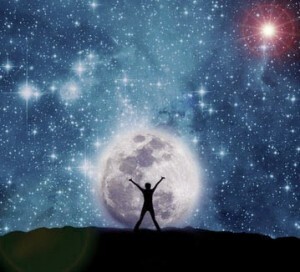 Even those still holding on to old energies and consciousness are playing their part in assisting others in relinquishing themselves from the old era where judgment, hatred, violence and separation were accepted as ways of learning and opportunities to gain a deeper connection with the Creator. Everyone on the Earth is purifying their beings now and this may take several years to reach a stage when focus upon purification is no longer needed as it will occur naturally and automatically. Every person on the Earth is sifting through their energies and deciding what is needed and what is no longer required, even with the consciousness of what can no longer be tolerated and what will service self and others. As the consciousness of humanity expands so all begin to include others in their quest for recognising and embodying the Creator, thus the links within the general consciousness of humanity and between hearts become stronger. Although many people maybe becoming preoccupied with the purification process and preparing their realities and beings there are also numerous who are shaping their realities according to their connection with and experience of the Creator. This means there are many who are bringing forth the supreme light of the Creator through their beings and creations to be anchored and experienced upon the Earth. This is such a magical time of exploration of the Creator, because the exploration is taking place within your being and you can shape and form your reality from your connections and experiences of the Creator. As old keys, energies, activations, patterns and codes are cast aside which are no longer needed so the journey of ascension shifts and alters for all as new energetic keys, activations, patterns and codes surface to be of service in the present moment of ascension. Much of what I speak of you may not notice until you look back upon your reality and humanity then you will notice the shifts that have occurred especially in the coming years. 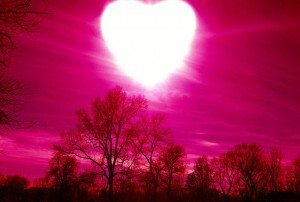 It is truly the dawning of a new age, the dawning of the experience of unconditional love upon the Earth. The rising of the goddess vibration makes way for other vibrations of light from the Creator to flow into the Earth and your being, while creating a sacred space within your being for your truth to activate. It is almost as if the goddess vibration turns your soul within your heart chakra into a womb or light incubator. Your soul will and is collecting certain, unique and appropriate vibrations from your soul’s great wealth, the universe and the Creator bringing them into the surface and forefront of your heart chakra where they will be held and nurtured in the light and love of your soul until they are ready to project into your reality for your full experience. This means that the way in which you perceive your reality will alter, your spiritual skills will evolve dramatically and the energies you experience will shift thus influencing your reality in a positive way as the soul takes greater responsibility projecting its divinity. It is in truth that a whole new world in forming within your being, being nurtured and incubated until the most appropriate time of projection. A whole new aspect of yourself is also being incubated and will emerge. The process is gradual so you may not even notice the shifts occurring but it is important to be accepting of change in all its forms and manifestations especially changes in your personality, character and reactions as these will shift to be more divinely aligned first. Your soul is giving birth to so much at this time it is important to remain centred by allowing yourself to bring your attention back to the loving vibration of your heart chakra and entire being with each moment of remembrance and self/ Creator recognition, thus every moment of thinking. With this focus you are giving your soul the space and energy it needs to achieve all it wishes and needs to prepare you for the new reality and era of love. Many of the practices we share with you are to focus you on the centre of your divinity so that in the space of alignment your soul is able to achieve all it needs to whether you are conscious of what is occurring or not. Take a moment to exist in oneness with me, Archangel Michael, feeling my energies flowing into your being with every breathe you inhale. Sit in peace for a few moments, imagine the goddess vibration emerging from your soul and drawing from all around you into your heart chakra creating a sacred nurturing chamber of light. Then imagine, sense or acknowledge your soul flowing into your heart space giving birth to all that is appropriate and needed from your soul and the Creator. One of the activations arising due to the goddess vibration is your Angelic Consciousness. Every soul whether upon the Earth of the inner planes can access different aspects of the Creator’s consciousness; after all we are one, eternally connected with all aspects of the Creator especially through the divine flow experience, which is simply allowing the energy of the Creator to flow through you. There are many levels to the angelic consciousness that we, angelic beings, hold and embody but you can also download aspects of the angelic consciousness through your soul into your being to especially illuminate your mind and perspective in an expansive way. 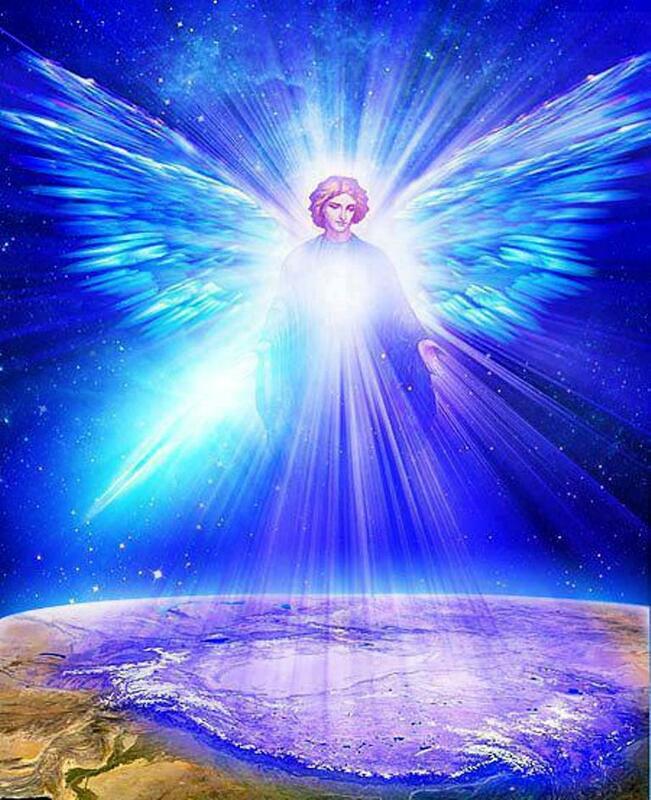 The angelic consciousness available to you now is the angelic consciousness of unconditional love and the angelic consciousness of seeing the truth of all beings. When absorbing the angelic consciousness of unconditional love it will activate within your being your own vibrations of unconditional love, which are the same as the angelic consciousness of unconditional love as we are all the same. This consciousness will support, prepare and assist you in thinking and acting from a genuine space of unconditional love, understanding and comprehending with greater depth how unconditional love can exist within you while you interact with others and the Earth. The angelic consciousness will also assist you in seeing the divinity and truth of the Creator within others. The angelic consciousness will enter into your third eye chakra activating and expanding your third eye chakra thus gradually stimulating your vision of truth. This may manifest in numerous ways such as a sensing or even being able to see the truth of the Creator swirling from a being. It is for you to experiment and experience. Simply call me, Archangel Michael, forth and ask me to anchor and download into your soul and third eye chakra the angelic consciousness of unconditional love and seeing truth. While energy will activate from your soul hold your focus on the growing energy within your third eye chakra until you feel the energy present, letting it flow into your mind. It is with the presence of love, clarity and peace that I come forth to greet and share my consciousness with you at this powerful time of transition on the Earth. Do you feel yourself to be moving on a journey of separation to unity? Are you at this time recognising areas, ideas and perspectives of separation which seem to rise before you so clearly? Are you fearful of acknowledging separation of any form, especially a separation between yourself and the Creator? Do you feel yourself recognising separation and yet striving to acknowledge an understanding and existence of unity with all that is the Creator? Maybe many of your current challenges would dissolve if you accepted your unity with the Creator? Or maybe it is your acceptance of your unity with the Creator that will assist your healing on all levels of your being? Some of these questions you may recognise within your own thought process and reality or you may feel inspired by my questions to realise the vibrations of separation and unity within your being. At this time upon the Earth when love continues to anchor through so many aspects and sources of the Creator, the vibration of love is building upon the Earth creating many shifts which have not been experienced upon the Earth, either for a long time or never. With the presence of love everything is drawn to the surface even from the depths of the Earth and your being. This means that energies, reactions, thought processes you had long forgotten or never truly realised will sweep to the front of your attention or even becoming embodied within your being to allow a process of release. In this Era of Love you can hold complete and absolute faith and confidence that everything within you will be healed because love will not leave any stone unturned, love will allow everything to arise, be observed, healed and released. I ask that you do not become involved with the drama of your process of releasing and healing every aspect of your being. With so many energies dawning within you let go of the drama as with drama you will find yourself entangled and involved in the rising energies, emotions and even fears that are no longer needed. It is important not to identify yourself with the energies rising to be heal because many of you now are also releasing on behalf of humanity and the Earth so some of what you may experience and need to heal may not have been created or experienced by you but you have allowed yourself to be a healing vessel to aid quicker rise in the ascension vibration upon the Earth. With the powerful wave of love entering through your being and into the Earth so your understanding and experience of duality is challenged and can be shifted with tremendous ease. The Creator’s vibration of love brings forth an awareness and greater experience of unity. Unity within all people and experiences naturally arises when love is present. Are you discovering that the perspective of your mind is altering so much that it feels it has moved from one way of thinking to a complete opposite way of thinking? Love is breaking down the perspective of duality, asking you to realise there are no opposites, no separation, no division only unity, with the truth and experience of unity. The presence of unity within your being and within the consciousness of humanity will manifest a greater embodiment of love but also a deeper embodiment of the Creator in all manifestation. It will feel as if you are seeing, sensing and recognising the Creator with every moment of your reality. Powerful visions will manifest of truth and unity in your daily reality as that which you experience within you and in meditation will be transferred into your physical realities. Simply sit and allow Archangel Metatron to stand behind you as he places his energetic hands at your Soul Star Chakra above your head. Archangel Metatron sends the new wave of unity consciousness into your Soul Star Chakra, where it merges with many aspects of your soul waiting to be embodied within your being. The synthesised light then flows into your being and chakras, connecting into your Earth Star Chakra below your feet to aid grounding and embodying of this new wave of unity consciousness. There is a powerful journey as you move from the belief and recognition of separation to the acceptance of unity and that there is no form of separation within the Creator. You also realise that everything and everyone is the Creator and so separation is only an illusion and a creation not born from truth or love. You may wonder why we as ascended masters come forth and speaks with you as separated aspects of the Creator. This is because when each soul recognises their connection and unity with the Creator they melt into the Creator, becoming expansive, experiencing bliss, understanding everything and yet holding a vibration of nothingness. If the Creator came forth to you in the purest state you may find the Creator completely undescribed, unacceptable and uncomprehendable. Separation has its space and place in the spiritual journey because when you recognise separation it opens the door way for you to accept a deeper consciousness of unity and truth. We come forth to you as ascended masters and holding an aspect of separation from the Creator because we as ascended masters have existed upon the Earth, we have a memory, a familiarity of the challenges and growth process of the Earth and so we are able to interpret the Creator to you to aid your own personal recognition in a way that is comprehendible to you at this state of your current ascension process. It is important to realise that you may come up against ideas and perspectives of separation within and around you but do not recognise these as negative, they are simply gateways to the Creator, and are often needed. With each moment of inspiration and self (Creator) recognition you are allowing many levels of separation to fall away. Your perspective will change and evolve but do not despair or belittle the times when you connect with and believe in separation as these are times that lead you to powerful awakening processes. The journey from separation to unity is a beautiful, valuable and necessary process which feeds your soul empowerment to aid embodiment. It is important not to connect with or identify yourself with ideas of separation but to realise that in order for unity to be recognised and experienced separation may also need to be evident to illustrate and demonstrate to you unity consciousness and existence.